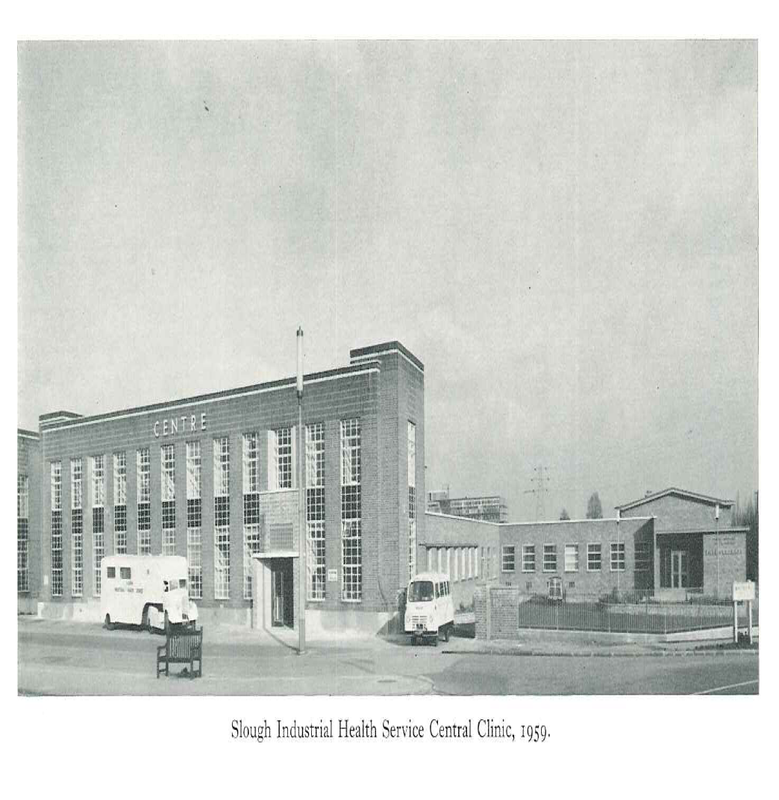 Shortly after the war in 1945 Sir Noel Mobbs set up what is now Corporate Health, originally a project set up in Slough due to the diversity of industry on the trading estate. The team started to develop and support what is now commonly known as Occupational Health. In 1947 before the NHS had been created the doors of the medical centre were opened with 50 local companies using the facility to help prevent absence and accidents and assist in the rehab and well-being of nearly 6000 employees. By 1963 over 300 companies and 27,000 employees were using the services. In 2013 we look after over 700 companies spread across the UK. set up as a charity in 1947 the objects to support the development, research and training of occupational medicine are still maintained today as is the innovative approach to Occupational Health. 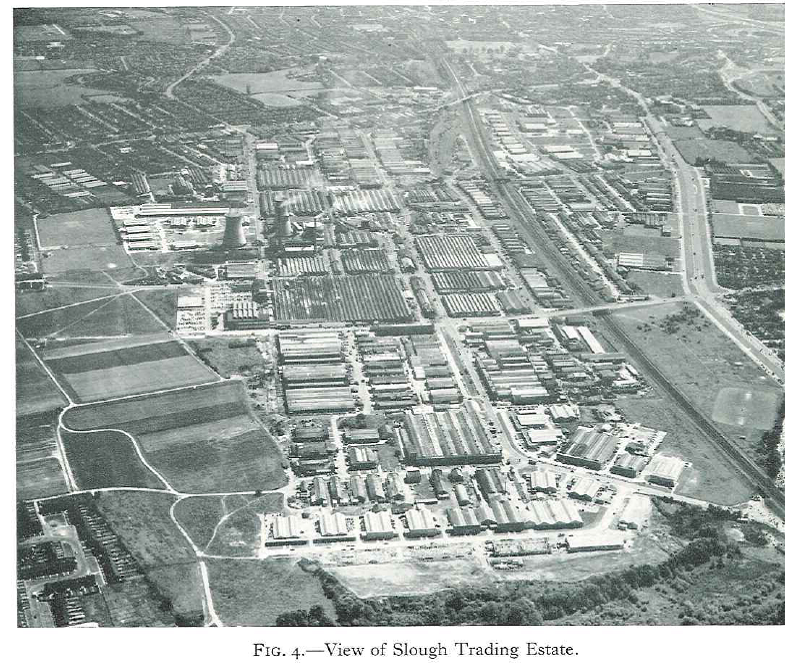 I will be taking extracts from Dr Eagger’s book ‘Venture into industry’ which was commissioned by the Council of management as a record detailing the success and findings of the service between 1947 and 1963. It is fair to say Sir Mobb’s and his team were innovators and have contributed significantly to the service and methods we now use. Corporate Health provides a national service provision offering the full range of OH services, during the past 66 years we have helped train Occupational Health Physicians and Occupational Health nurses. The charity continues to support the Mobbs fellowship allowing OHP’s to travel abroad to research different Occupational Health projects. Trauma Management and woking on the mind as well as the body. Corporate Health are pleased to be joining the delegates at next weeks conference in Brighton. we currently look after the Occupational Health needs, Tenant Assessments and First Aid Training for over 30 Housing associations across the UK. We are looking forward to meeting new associations and talking about your needs and how Corporate Health as a charity established before the NHS in 1947 can support your organisation. The draw closes on 1st April 2013 and the winner will be advised by email. MORE THAN half of British businesses do not have a defibrillator, show poll results released today (Monday 18 February) – despite the impact the device has on cardiac arrest survival rates. The Institution of Occupational Safety and Health (IOSH) commissioned a survey of 1,000 business decision-makers across the UK and found that 513 did not have the lifesaving equipment at work. Almost two thirds of those who said ‘no’ also come from medium to very large companies. In support of National Heart Month, this February, IOSH is encouraging companies to consider whether they should install a defibrillator, which restarts the heart using an electric shock. Currently, 30,000 people in the UK each year have a cardiac arrest out of hospital and NHS data shows just 18.5 per cent of them survive. American statistics also show 13 per cent of workplace fatalities result from cardiac arrest. Of the 327 respondents from small companies* who took the poll, 60.2 per cent, or 197, said they didn’t have a defibrillator. And 316 of the total 513 – almost two thirds – of those who said they didn’t have the lifesaving equipment came from medium, large and very large* companies. When those who had replied ‘no’ in the survey were asked why their company had not got a defibrillator, 45 said it hadn’t even occurred to them, 56 felt there was no need, 34 said they had too few staff and 31 put it down to cost. Ms White added: “This is actually worrying news for us, especially where the larger companies are concerned. Devices cost around £1,000 – can big companies with healthy turnovers afford not to have one? Inmarsat is the world’s leading provider of global satellite communication services – with 1,700 staff and a number of contractors. It installed two defibrillators in 2009 in its UK headquarters, after a 40-year-old contractor suffered a cardiac arrest in the office. Lloydeth Newell, Inmarsat health and safety manager, said: “It was hard to argue the case for a defibrillator with management initially, due to concerns about liability and the fact emergency services can, in theory, reach us within six minutes. “But one of our contractors had a cardiac arrest at his desk while he was talking to colleagues and tragically, he was pronounced dead in hospital half an hour later. It changed everything and I got permission straight from the top to assess how many defibrillators we needed and put them in place. Staff can volunteer to be trained in how to use a defibrillator, but there’s no legal requirement and they’re really easy to use. Looking at the poll results by sector, education fared the worst, as 61 out of 86 people did not have a defibrillator at work. And two thirds of those in retail said they hadn’t got one – only 20 out of 58 had. Less than half – nearly 44 per cent – of the respondents from an office environment had a defibrillator. But the picture improved with manufacturing and engineering industries, where 65 per cent had the device, amounting to 62 out of 95. St John Ambulance offers workplace first aid training, including how to use defibrillators. Clive James, St John Ambulance training and development officer, said: “Prompt first aid and use of a defibrillator can be the difference between a life lost and life saved. Defibrillators detect if a casualty’s heart rhythm needs shocking, so they can’t shock anyone that doesn’t need it. But ultimately a training course will give help to give you the confidence to use one. FREE EVENT – How much more effective would your organisation be if your sickness absence was significantly reduced? More and more organisations are using innovation to better manage sickness absence – ‘Day 1’ sickness absence is an important development that will reduce sickness absence. Day 1 sickness absence can make a huge improvement in all of the well accepted components that are good practice in managing absence. Such as improved and timely communication of employees absence (especially useful for managing frequent short term spells of absence). Better utilisation of return to work interviews, and improved referral to occupational health in line with your sickness absence policies. Corporate Health, in partnership with Honeydew Health, have the pleasure in inviting you or a colleague to our networking and HR community forum event on the 14th March in Slough, from 9am to 11am. This will be a great opportunity to firstly network amongst fellow HR peers as well as with an absence management expert and an Occupational Health specialist. During this open discussion, our team of experts, including you, will advise, discuss and strategise about key problems areas for HR concerning absence management. We would be delighted if you could join us for this informal but invaluable two hour event. Corporate Health is growing and I am starting to look at how I grow our OHP team. At this moment in time its exploratory with informal discussions taking place. I am looking for an OHP who can work from Slough and contribute to the exciting plans we have as well as delivering top class OH advice to our customers. I am also looking for an OHP to join our non exec board which is a voluntary position given our charitable status. If either of the above appeals to you or you know anyone please do pass on my details. Please share this post with relevant groups.